Summary: The son of a Jewish scribe, Ramon and his family are converts in the face of the Spanish Inquisition during the 1400s. But while Jews and Muslims are openly despised, conversos as they are known are not far behind. Under the ‘Edicts of Faith’ a mistrustful society is fostered as everyone is encouraged to watch and inform on other’s contact with the undesirables. When Ramon’s family takes in Amir, a Muslim teen, Ramon sees himself as being above him and seeks to show him up especially when he notices Amir is becoming close with his father. But what seems like a harmless errand changes Amir’s life, and Ramon’s part in his disappearance haunts him until he must take action. 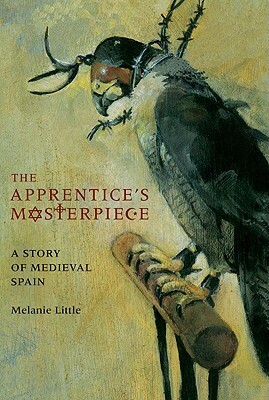 Review: On the cover of Melanie Little’s book, The Apprentice’s Masterpiece, it reads “A story of medieval Spain.” It’s true, Little’s book is specifically about Spain in the late 1400s and the Spanish Inquisition, but it is a story as old as time as it keeps popping up in human history. Think Nazi Germany, the McCarthy Trials, and most recently, the situation in Iraq. Little’s book was published in 2008, but it continues to be relevant, and one hopes that by reading these stories of humanity’s past, we can choose new paths going forward. In Little’s book, King Ferdinand and Queen Isabella begin the Spanish Inquisition, seeking to rid Spain of everyone but ‘old Christians,’ those who can prove their family’s belief in the Catholic church for at least seven generations back. Even converts from Judaism and Islam are suspect, and those who refuse to convert are relieved of all their property and executed. There’s a part in the story when Little calls into question Queen Isabella’s motivations, making her reader question whether the Inquisition exists because of profound religious belief or greed. The answer remains unclear. I appreciated the book’s philosophical nature, as it opened my eyes to how easy it is to proclaim someone as the other and then use that status to justify heinous acts against them. This is something Ramon learns as well, as though he is a convert, he still sees himself as being drastically different from Amir, their house servant. It is when he begins to see Amir through his father’s eyes that he realises they have more in common than he thought, and his experiences as an Inquisition scribe convict him in his beliefs. The Apprentice’s Masterpiece has no happy ending, but instead challenges readers to reflect on what their own actions would be in such a situation. Little tells us Spain was once a country where Jews, Muslims and Christians lived peacefully until the Inquisition, and in light of our world today I hope that is a place we can get back to. “Still, books are the finest treasure of all. “Once or twice I have woken in tears, like a child. Mama tells me, those times, that I’m safe. She knows I don’t really believe it. is the reverse also true? What if you take one – or cause it to be taken – to save several others? just a rung on a ladder? The Apprentice’s Masterpiece by Melanie Little is published by Annick Press, (2008).